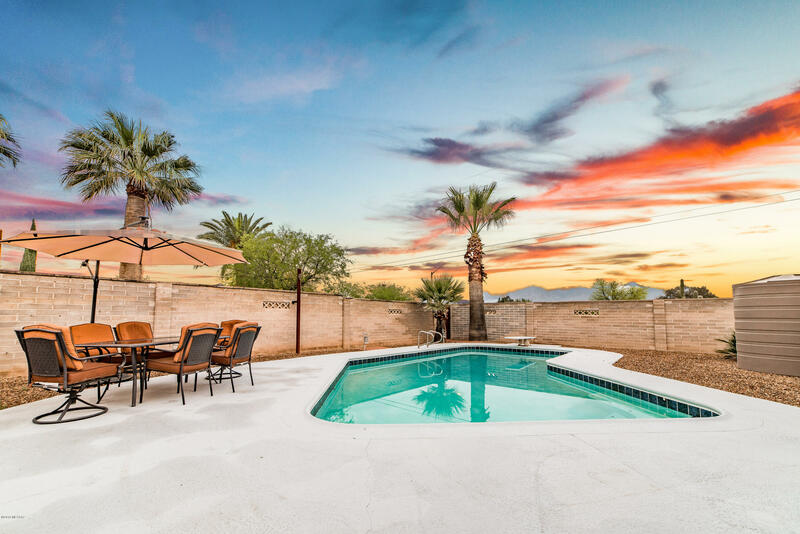 All Desert Palms Park (1-178) homes currently listed for sale in Tucson as of 04/23/2019 are shown below. You can change the search criteria at any time by pressing the 'Change Search' button below. 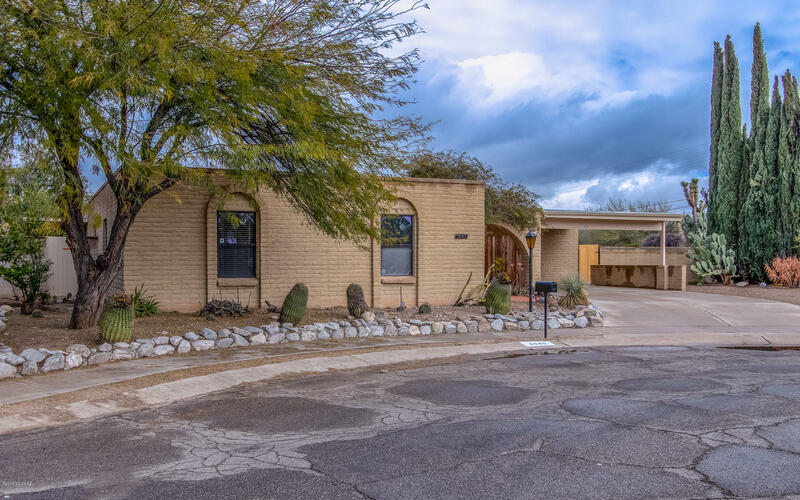 "Modern 1,964 Sq Ft three bed/two bath updated masonry stucco contemporary on large landscaped .25 acre corner lot in desirable Northeast Tucson with attached finished 2 car garage and refreshing pool. Completely updated and ready for new owners to enjoy (not a ''flipped'' property). Featuring: Mountain views, single story, no stairs/steps, E/W orientation, No HOA, RV parking, long concrete driveway and sidewalk, original hand carved door, stained concrete floors with new (April 2019) carpet in b"
"Come to appreciate what this wonderful home has to offer! You can enjoy Catalina and Rincon mountain views from the swimming pool deck, screened Arizona room and from the inside of the house. Open concept kitchen allows you to visit with your guests while you are cooking and with the fireplace going. Updated bathrooms, flooring, slab granite kitchen counter top and freshly painted interior makes this home move-in ready. New roof in 2015 with warranties until 7/2020. Mature landscape with grapefr"